From AudioNotes, our innovative audio listener guides, to our acclaimed recording label, Music@Menlo utilizes new and unique tools to connect audiences with classical chamber music. Music@Menlo’s innovative preconcert listener guides offer audiences engaging and entertaining introductions to each festival Concert Program and Carte Blanche Concert. 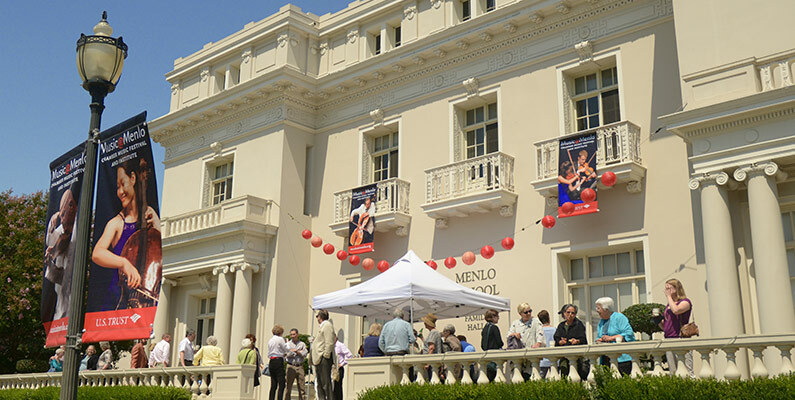 Music@Menlo LIVE, the festival’s exclusive recording label, features live recordings from past summer festival concert programs. Performances from the summer festival air nationwide on American Public Media’s Performance Today®. Music@Menlo is pleased to offer live-stream broadcasts of select festival events including Café Conversations and master classes. Watch videos featuring clips of festival performances, Café Conversations, master classes, artist profiles and interviews, and other behind-the-scenes festival footage.